(Last modified: January 14, 2018). Click on links below to visit each section. This Website is offered and available to users who are 18 years of age or older. By using this Website, you represent and warrant that you are of legal age to form a binding contract with the Company and meet all of the foregoing eligibility requirements. If you do not meet these requirements, you must not access or use the Website. We may revise and update these Terms from time to time at our sole discretion. All changes are effective immediately when we post them and apply to all access to and use of the Website. However, any changes to the dispute resolution provisions set forth in Governing Law and Jurisdiction will not apply to any disputes for which the parties have actual notice on or prior to the date the change is posted on the Website. Your continued use of the Website following the posting of revised Terms means that you accept and agree to the changes. You are expected to check this page periodically, so you are aware of any changes, as they are binding on you. We reserve the right to withdraw or amend this Website, and any service or material we provide on the Website, at our sole discretion without notice. We will not be liable if for any reason all or any part of the Website is unavailable at any time or for any period. You are responsible for ensuring that all persons who access the Website through your internet connection are aware of these Terms and comply with them. If you choose, or are provided with, a user name, password or any other piece of information as part of our security procedures, you must treat such information as confidential, and you must not disclose it to any other person or entity. You also acknowledge that your account is personal to you and agree not to provide any other person with access to this Website or portions of it using your user name, password or other security information. You agree to notify us immediately of any unauthorized access to or use of your user name or password or any other breach of security. You also agree to ensure that you exit from your account at the end of each session. You should use caution when accessing your account from a public or shared computer so that others are not able to view or record your password or other personal information. You must not access or use for any commercial purposes any part of the Website or any services or materials available through the Website. If you wish to make any use of material on the Website other than for uses stated above, please address your request to: info@Francineward.com. 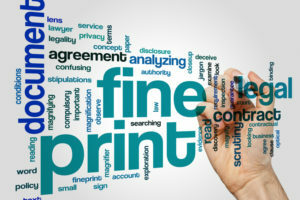 If you print, copy, modify, download or otherwise use or provide any other person with access to any part of the Website in breach of the Terms, your right to use the Website will cease immediately and you must, at our option, return or destroy any copies of the materials you have made. No right, title or interest in or to the Website or any content on the Website is transferred to you, and all rights not expressly granted are reserved by the Company. Any use of the Website not expressly permitted by these Terms is a breach of these Terms and may violate copyright, trademark and other laws. The Company name, the Company logo, and all related names and logos are trademarks of the Company. All other names, logos, product and service names, designs and slogans on this Website are the trademarks of their respective owners. You must not use such marks without the prior written permission of the respective owners. In any way that violates any applicable federal, state, local or international law or regulation, including, without limitation, any laws regarding the export of data or software to and from the US or other countries. To exploit, harm, or attempt to exploit or harm minors in any way by exposing them to inappropriate content, asking for personally identifiable information or otherwise. To impersonate or attempt to impersonate the Company, a Company employee, another user or any other person or entity, including, without limitation, by using e-mail addresses or screen names associated with any of the foregoing. The information presented on or through the Website, whether of a legal nature or otherwise, is made available for general educational and information purposes ONLY. We may update the information from time to time, however, the Company does not warrant the accuracy, completeness, or usefulness of this information. Any reliance you place on such information is strictly at your own risk. We disclaim all liability and responsibility arising from any reliance placed on such materials by you or any other visitor to the Website, or by anyone who may be informed of any of its contents. This Website includes content, such as articles, videos, blog posts, Twitter posts, and links to third-party content. All statements and/or opinions expressed in these materials, and all articles and responses to questions and other content, other than the content provided by the Company, are solely the opinions and the responsibility of the person or entity providing those materials. These materials do not necessarily reflect the opinion of the Company. We are not responsible, or liable to you or any third party, for the content or accuracy of any materials provided by any third parties. All purchases through our Website or other transactions for the sale of goods or services are made through PayPal. It’s Terms and Conditions can be found here: PayPal. The website from which you are linking, or on which you make certain content accessible, must comply in all respects with the Terms. You agree to cooperate with us in causing any unauthorized framing or linking immediately to cease. We reserve the right to withdraw linking permission without notice. We may disable all or any social media features and any links at any time without notice in our discretion. If the Website contains links to other sites and resources provided by third parties, such as CNN, FTC, Huffington Post, CBS News, Oprah.com, these links are provided for your convenience ONLY. They may contain advertisements, including banner ads and sponsored links. We have no control over the contents of those sites or resources, and accept no responsibility for them or for any loss or damage that may arise from your use of them. If you decide to access any of the third-party websites linked to this Website, you do so entirely at your own risk and subject to the terms and conditions of use for such websites. It’s important that you read their terms and conditions, because they will apply to you. While we provide this Website for use by persons located in the United States and abroad, the owner of the Website is based in the state of California in the United States. For that reason, we make no claims that the Website or any of its content is accessible or appropriate outside of the United States. Access to the Website may not be legal by certain persons or in certain countries. If you access the Website from outside the United States, you do so on your own initiative and are responsible for compliance with local laws. You understand that we cannot and do not guarantee or warrant that files available for downloading from the internet or the Website will be free of viruses or other destructive code. You are responsible for implementing sufficient procedures and checkpoints to satisfy your requirements for anti-virus protection and accuracy of data input and output, and for maintaining a means external to our site for any reconstruction of any lost data. You agree to defend, indemnify and hold harmless the Company, its affiliates, licensors and service providers, and its and their respective officers, directors, employees, contractors, agents, licensors, suppliers, successors and assigns from and against any claims, liabilities, damages, judgments, awards, losses, costs, expenses or fees (including reasonable attorneys’ fees) arising out of or relating to your violation of these Terms or your use of the Website, including, but not limited to, any use of the Website’s content, services and products other than as expressly authorized in these Terms or your use of any information obtained from the Website. All matters relating to the Website and these Terms and any dispute or claim arising therefrom or related thereto, in each case, including non-contractual disputes or claims, shall be governed by and construed in accordance with the internal laws of the State of California, without giving effect to any choice or conflict of law provision or rule, whether of the State of California or any other jurisdiction. Any legal suit, action or proceeding arising out of, or related to, these Terms or the Website shall be instituted exclusively in the federal courts in the Northern District of California, San Francisco County, although Company reserves the right to bring any suit, action or proceeding against you for breach of these Terms in your country of residence or any other relevant country. You waive all objections to the exercise of jurisdiction over you by such courts and to venue in such courts and expressly and explicitly accept the Northern District of California, San Francisco County as the sole jurisdiction and venue, for such purposes. At Company’s sole discretion, it may require You to submit disputes arising from the use of these Terms or the Website, including disputes arising from or concerning their interpretation, violation, invalidity, non-performance, or termination, to final and binding arbitration under the Rules of Arbitration of the American Arbitration Association applying California law. No waiver, by the Company, of any term or condition set forth in these Terms shall be deemed a further or continuing waiver of such term or condition or a waiver of any other term or condition, and any failure of the Company to assert a right or provision under these Terms shall not constitute a waiver of such right or provision. Under California Rules of Professional Conduct Rule 1-400, this Website is defined as a “communication”, and is therefore Attorney Advertisement. Francine D. Ward, Esq. is responsible for the contents of this Website. The Law Ofc. of Francine D. Ward is located at 775 E. Blithedale, Suite 325, Mill Valley, CA 94941. (415) 389-0975. Terms and Conditions. AirBnB. Change in Terms.